The Doorbell Rang by Pat Hutchins is a classic children’s book loved by teachers, parents, and children alike. The patterned text of the story reveals an engaging tale that presents a real-life math challenge. 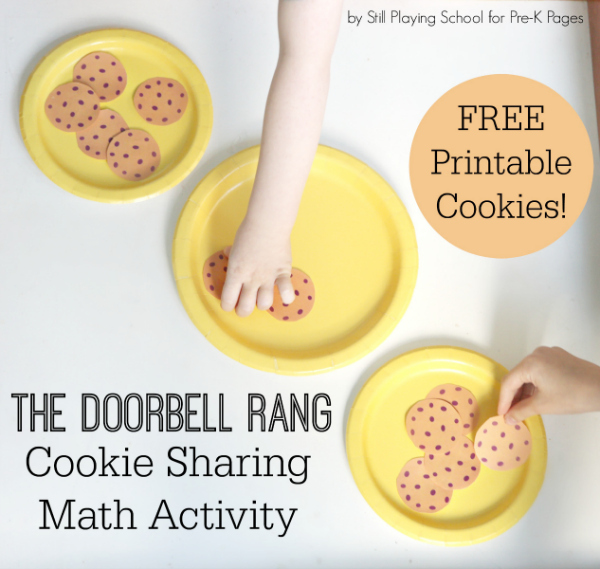 Every preschooler can relate to the struggle of sharing but The Doorbell Rang presents several mathematical concepts as well. The stars of the story are the delicious and irresistible chocolate chip cookies. Everyone loves cookies! 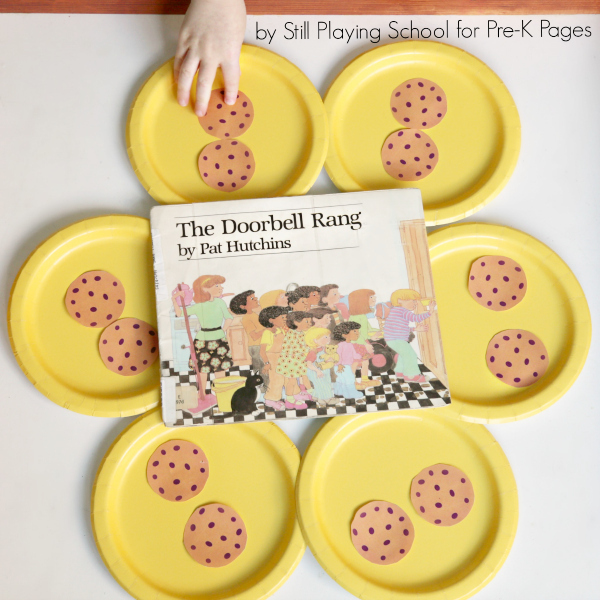 The story of The Doorbell Rang by Pat Hutchins begins with two children evenly dividing a dozen fresh chocolate chip cookies. Suddenly the doorbell rings and two more friends arrive; they share the cookies. Over and over the doorbell rings as more friends appear and less cookies are available for each child. When each child has only one cookie remaining and the doorbell rings again you have the opportunity to engage your class in conversation. How do you think the children feel in the story? Look at their faces. Should they hurry to eat the cookies before answering the door once more? A surprise happy ending will leave everyone satisfied. Acting out the story is not only engaging for students but it also solidifies the math concepts presented in the book in a hands-on way. (Plus it’s good comprehension activity for literacy too!) 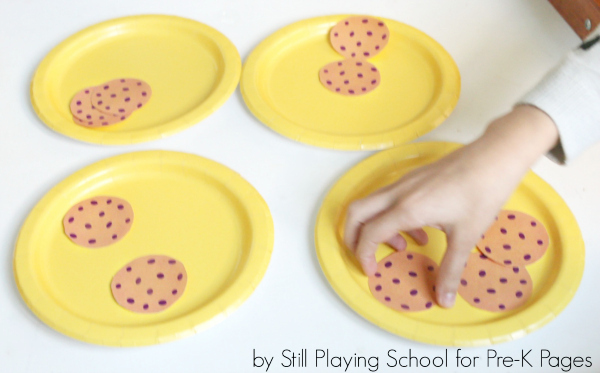 As you read the book, choose two children to begin dividing the cookies evenly onto their own plates. 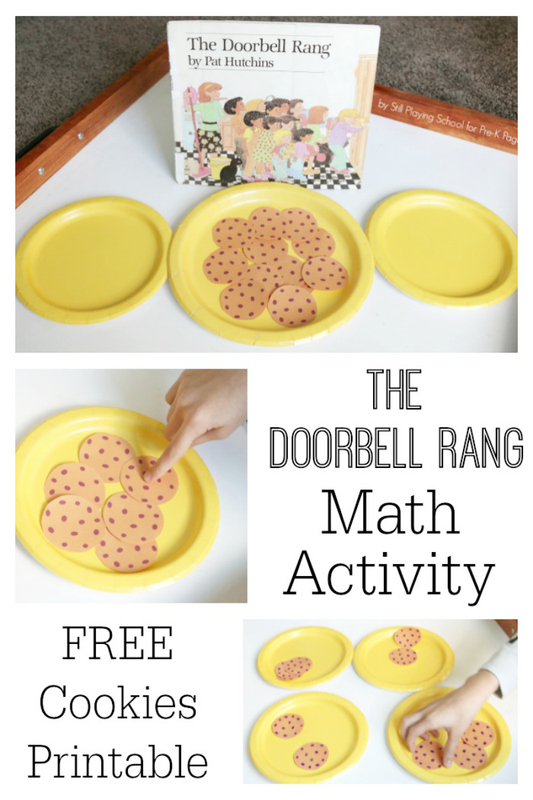 When the doorbell rings, you can use a bell, a doorbell sound effect, or invite all children to say, “Ding dong!” How fun! 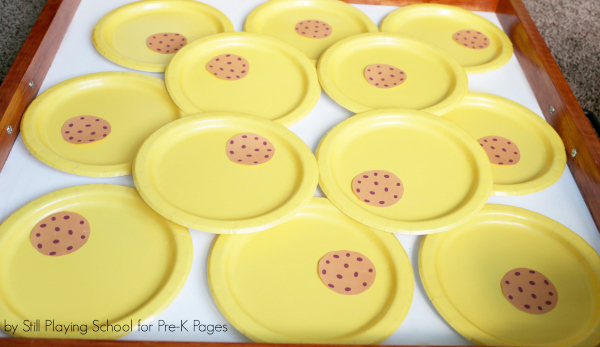 As more kids arrive, ask your students to tell you how many plates you need to add. How many cookies does each child get now? 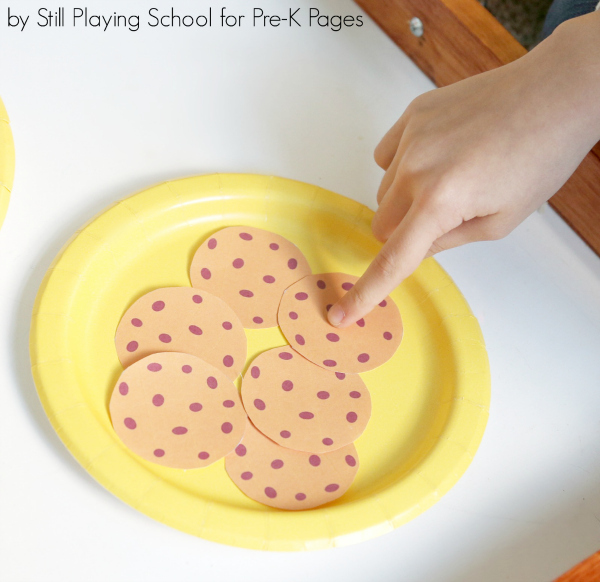 Be sure to invite children to practice one-to-one counting as they physically touch the cookies and plates with their counting. 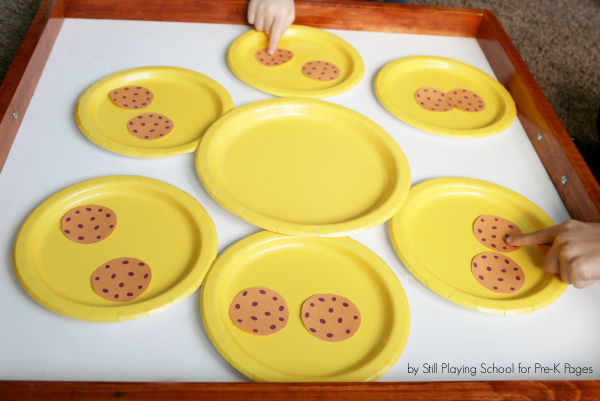 More advanced learners can be introduced to addition, subtraction, and even multiplication as the plates are added, the cookies are divided, and our groups always still total twelve to make a dozen. We invite you to use this free Cookie Printable to enhance your lesson. We recommend printing on cardstock and laminating for durability. A great bonus is that the cookies don’t need to be cut out perfectly round because real cookies are seldom exact circles. This is definitely an activity your children will want to reenact over and over again! BIO: Devany LeDrew is a former kindergarten teacher who writes at Still Playing School where she shares play based learning activities. She has co-authored two books of fine motor ideas! Follow Still Playing School for daily engaging ​educational inspiration on Facebook, Instagram, Pinterest, and Twitter! Follow my Counting Pinterest Board for more great ideas!